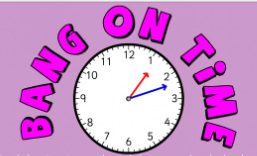 These games are for practice above reading a clock to the half hour/hour! Click the picture to link to the game! Do you feel as if you are ready to quiz yourself? If so, click the time quiz button and take a quiz on telling time! 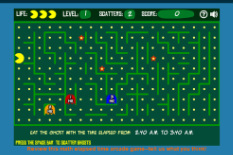 In this Pac Man style game you must determine the amount of time that has elapsed and eat the ghost that matches the answer. Eat all the ghost to clear the board! This interactive game will give you the time in words. Then you have to try to stop the clock on the correct time. Clock Works- Telling the Time! In this game you must read the question and decide what time it should be on the clock to help fix the clock tower. You will answer questions on basic time and elapsed time. You will match the analog clock to the correct time in the choices given. You may be identifying by basic time or by words such as half past. must feed the mouse by choosing the correct clock that matches the time. This games practices telling time to the five minutes and using words such as half past. 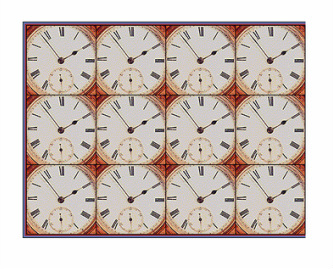 This memory game allows you to test you memory and your clock reading skills. You must match the digital clock to the analog clock. This game tells time to the minute.